Can't get what you want? We can build it! Work? Gaming? Why not do both at the same time? 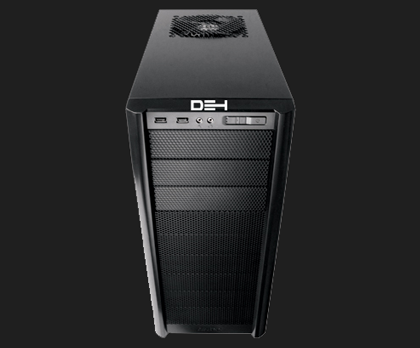 We can provide you with a desktop or workstation for your research, virtualization, and gaming needs. Dual 30" monitors are no problem with our high-end video cards. Something small that packs a punch! We are your source for customized home theater PCs. If you want to play Blu-rays, DVDs, and movies you've downloaded, look no further. When the best others have just isn't enough. We build high-performance computational clusters for our enterprise clients. 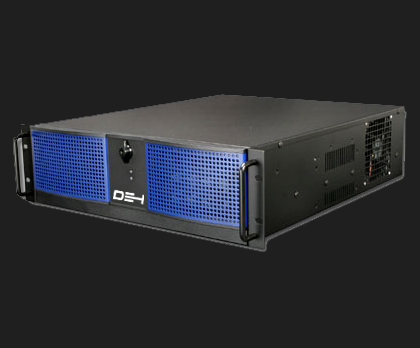 Using our custom rackmount servers and blade systems, you won't have to worry about needing more storage or speed. Welcome to DEH Microsystems, LLC. Can't get what you want? We can build it! Unsure of what you need? We can help! With over 25 years of IT support experience, we can help you decide which type of equipment you need, and which software would work best for you. Whether you're performing data entry or high-level scientific calculations, we can recommend an economical system customized to suit your needs. We are a Cleveland-based supplier of completely custom computer hardware. Our staff has over 25 years of combined experience providing IT support (hardware and software) and building/repairing various computer systems. We can build anything from small systems for personal and home use, to high-performance computing clusters for enterprise clients. If you need help and are not computer savvy, we provide our clients with unmatched customer support with every purchase, including anything from installing software, to installing and configuring your custom hardware at your business or home. From all of us at DEH Microsystems, we wish you a Happy New Year! Our newly redesigned website is now live! We hope that it is easier for you to navigate around. Feel free to contact us with any questions or comments you may have. Thanks for visiting! © 2009-2015 DEH Microsystems, LLC. All rights reserved.